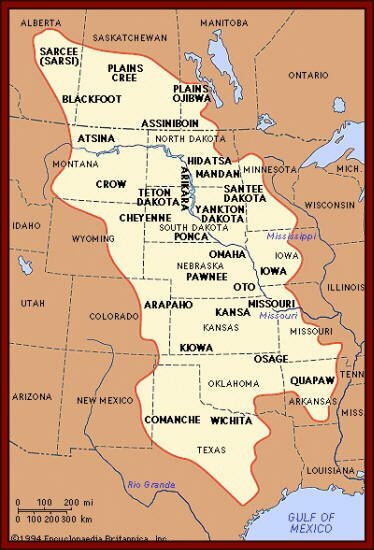 BLACKFOOT: "LORDS of the GREAT PLAINS"
The Blackfoot Confederacy consists of four different tribes, the Pikuni/Peigan, North Peigan Pikuni, Blood/Kainai, and Blackfoot/Siksika. Members of the Blackfoot Confederation presently live in Montana, the United States and Alberta, Canada. When the Canadian government/British Crown sought to enter into a treaty with the Niitsitapi (the Real People), they made initial contact with the Siksika who lived on the north and northeastern frontiers of Niitsitapiskaku. They made the wrong assumption that all Niitsitapi were Blackfoot. The Niitsitapi are Ahpikuni (Peigan), Southern Ahpikuni (Montana Blackfeet), Ahkainah (Bloods) and Siksika (Blackfoot). The language of the Niitsitapi is Niitsipussin (the Real Language). Some differences in phraseology occurs among the Niitsitapi but essentially, the language is the same. The Blackfoot migrated to their present territory from the northern Great Lakes Region. They were nomadic buffalo hunters. The Blackfoot were first introduced to horses in 1730 when the Shoshoni attacked them on horseback. After this, they obtained their own horses through trade with the Flathead, Kutenai and Nez Perce. They also traded buffalo hides, horses, and guns with settlers as far away as the east coast. However, by the winter of 1884, the buffalo were nearly extinct and many Blackfoot starved. They were forced to depend upon the Indian Agency for food. The word "tribe" connotates a lack of cohesive political, cultural and social structure which definitely does not apply to the Niitsitapi. 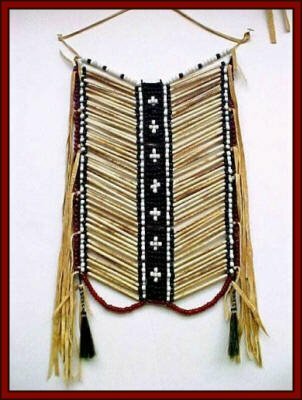 In fact, the cohesive structure was the very reason that the Niitsitapi achieved cultural, political and military predominance making them "the Lords of the Great Plains." They were a Nation of people united by a common language, culture and religion living in a country with borders recognized by other First Nations. When the Canadian federal government entered into negotiations with Crowfoot, the Siksika political leader, he had to consult the other Niitsitapi leaders as he was being asked by the government to negotiate matters affecting all Niistitapi. As leader of the Siksika and not the entire Niitsitapi, he couldn't do so without the consent of the other leaders. In 1870, one of the worse slaughters of Indians by American troops occurred, known as the Marias Massacre. On the morning of Jan. 23, two hundred Peigans were killed, most of them women, children, and elderly. The Peigans were a friendly tribe, not the hostile camp that the troops were supposed to attack. However, the commander had permission to use his judgment and attack the Peigans and punish them for things they may be guilty of in the past or future. After the massacre, the troops left to find their real target, but it was too late as the hostile tribe had moved. The Blackfoot were a nomadic people who followed the buffalo. It's difficult to lead a nomadic lifestyle when there is no place to go. The Niitsitapi were hemmed in by other First Nations. In addition, the different Niitsitapi had claim to areas within Niitsitapiskaku, for instance, the Siksika couldn't infringe on Ahkainah territories as the Ahkainah lived there. Their territory once covered an areas from Edmonton and Calgary, Alberta to the Yellowstone River, and from the Rocky Mountains to the present day North Dakota border. The most important event of the year was the Sundance Festival, or the Medicine Lodge Ceremony, which was celebrated with other Plains Indians tribes. An important religious area for the Blackfoot is the Badger-two Medicine area. This area was lost in 1895 to the U.S. government in a treaty which was poorly translated to the Blackfoot. Head-Smashed-In is a hill site in southwestern Alberta. The Blackfoot used it for hundreds of years. It is known as a very spiritual place to the tribe. It has been around for approximately 7,000 years. The Kainaiwa reserve, which is the largest reserve in Canada, is located approximately 200 km south of Calgary. It straddles Highway #2 south of Fort Macleod, and stretches west of Cardston in the south to the city of Lethbridge city limits in the northeast. The Kainaiwa business community is located in the townsite of Standoff, at the junction of Highway #2 and Secondary Road #505. 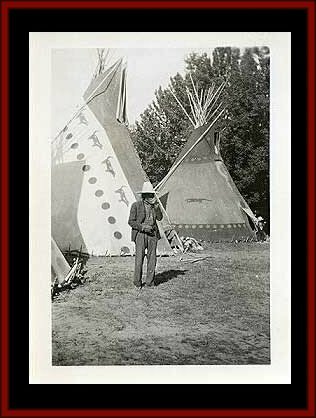 Early legends tell the story of a Blackfoot who visited a Kainaiwa camp. He asked "Who is the Chief here?" When the men nearby heard this question, they all answered "I am." 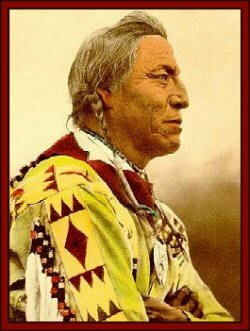 The Blackfoot then stated, "I will call you the Tribe of Many Chiefs." This was how they received the name Kainai (from Aka - "many" and Nina - "chief"). The current chief of the Kainaiwa Nation is Chief Chris Shade. 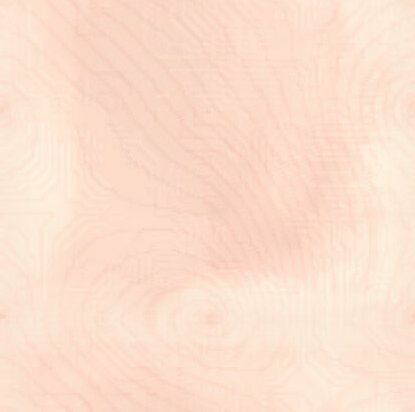 With reference to the name "Blood", this was the name given to them from the first traders as a result of the Red Ochre, which they used on their faces and ceremonial objects. Early in the 1800's, the Kainaiwa lived and hunted primarily in southern and southeastern Alberta, and in northern Montana. Although at that time there were non man-made boundaries, the favourite hunting places for the Kainaiwa were in the region of the Hand Hills near Drumheller, in the Sweetgrass Hills regions, and in the present Lethbridge district. Some of their best wintering grounds were along the Belly River, the Highwood River, and for the northern bands, along the Battle River. The Piikani Nation is located along Highway #3 midway between the towns of Fort Macleod and Pincher Creek. Brocket townsite is located on the reserve along the highway. 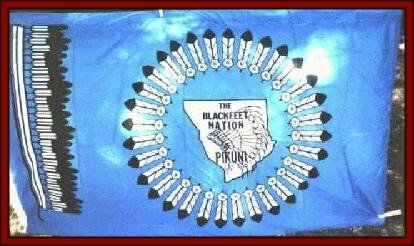 The Piikani, by themselves, were the smallest Blackfoot Tribe to sign Treaty 7, though with the Blackfeet Tribe in the neighboring State of Montana, they form the largest tribe of the Blackfoot Nation. The current chief of the Piikani Nation is Chief Peter Strikes With A Gun. When the Piikani signed the Treaty, they asked for "the Oldman River, the Porcupine Hills, and Crow Creeks" to be their home base, as these were their favorite wintering areas which provided a good base to hunt buffalo. When the buffalo began to disappear, the Piikani were encouraged to go to their new reserve to learn agriculture and become farmers. However, agriculture was not favored because of the climate. Instead, they channeled their energies towards ranching and their success as ranchers is still in evidence today. The arrival of missionaries in 1879 also introduced many significant changes to the Piikani lifestyle. 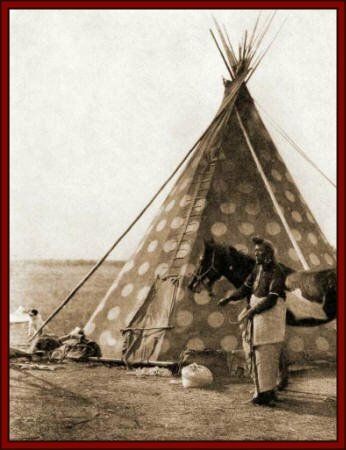 Over the years, the Piikani continued to be a quiet independent people who were not afraid to try new ideas, for example, they were the first band in Alberta to demand a vote in provincial elections, the first to allow liquor onto a reserve, the first to assume administration of their reserve, and the first to host Indian Day Celebrations as a means of retaining and maintaining their culture. The Piikani also speak the Blackfoot language as do their fellow Blackfoot Tribes. The Piikani continue to strive for self-determination and economic independence for present and future generations. They have established business ventures to create employment for bank members, and in 1986, took control of their education by establishing and building a high school as an addition to the existing elementary school on the reserve. The Black Lodge Singers of White Swan, Washington are one of the most respected pow-wow groups in North America. Headed by Kenny Scabby Robe of the Blackfeet, the Black Lodge Singers are largely drawn from his twelve sons. In demand as a host drum at pow-wows around the United States and Canada, Black Lodge has released twenty albums for Canyon Records including an album of pow-wow songs composed specifically for children. They also contributed tracks to Ancestral Voices, a 1994 Grammy Awards finalist by R. Carlos Nakai and William Eaton. Several of the Black Lodge Singers are noted for their prolific songmaking, each year creating new pow-wow songs that quickly become popular throughout the pow-wow circuit. Siksika Nation is located one hour's drive east of the city of Calgary, and three kilometres south of the Trans Canada Highway #1. The Administrative and Business district are strategically located adjacent to the Town of Gleichen to accommodate visitor traffic. Siksika has a total population of approximately 4,200 members. 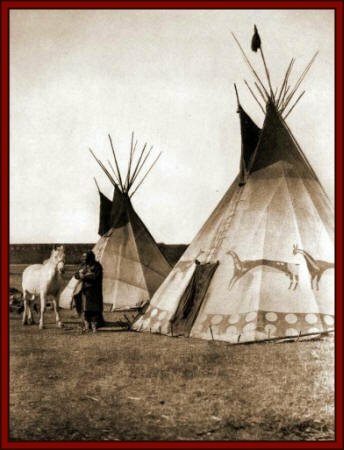 Siksika are a part of the Blackfoot Confederacy which also consists of the Piikani and Kainaiwa of southern Alberta and the Blackfeet in the State of Montana. The Siksika Nation is governed by a chief and twelve councillors, all of whom are elected by members for two-year terms. The current chief of the Siksika Nation is Strater Crowfoot. The Siksika Nation is in the process of developing a framework for self-government which will define and control the Nation's own destiny, and remove it from jurisdiction of The Indian Act which was legislated into force by the Canadian Government in 1876. Siksika in our language means "Blackfoot". 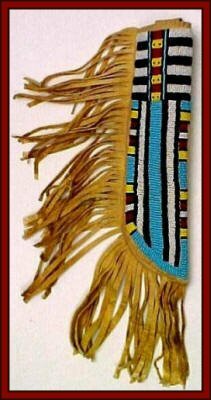 The buffalo in the Coat was chosen as the symbolic animal of the Siksika because it provided our ancestors with food, clothing and shelter; the arrow in seven pieces represents the seven societies in the tribe such as The Horn, Crow, Black Soldier, Motoki, Prairie Chicken, Brave Dog, and Ma'tsiyiiks; the medicine pipe symbolizes peace and crosses the tomahawk, the weapon of war which was put to rest forever; the circles represent the duration of the treaty signed by Chief Crowfoot on September 22, 1877; as long as the sun shines, the grass grows and the water flows. The main Stoney reserve is located along the Trans Canada Highway #1, midway between Calgary and Banff. Morley townsite is situated beside the Bow River. The Stoney Nation is composed of three bands: Chief Jacob Bearspaw, Chiniki, and Wesley/Goodstoney. The current chiefs of the three Stoney Nations are: Chief Darcy Dixon, Bearspaw Nation, Chief Aaron Young, Chiniki Nation and Chief Ernest Wesley, Wesley Nation. Each of these bands signed Treaty Seven in 1877 with the British Crown. The lands which make up the Stoney homeland are found in three separate locations. The Eden Valley reserve lies to the south of Morley; the Big Horn reserve to the north; the reserve at Morley, to the west of Calgary is the site of the Chief Goodstoney Rodeo Centre, where the Nakoda Pow-Wows are held annually. The Goodstoney Rodeo Centre is named after Chief Jacob Goodstoney, the leader who signed Treaty Seven on behalf of the people-Jacob's Land. As descendants of the great Sioux nations, the Stoney tribal members of today prefer to conduct their conversation and tribal business in the Siouan mother tongue. The pow-wow celebration is an important aspect of our spiritual relationship with our homelands-our mother Earth. Our people agreed to share our lands with the new Canadians and to live in peace according to the queen's promises made in Treaty Seven. Like many other Indian nations in Alberta and across Canada, the three Stoney bands have aboriginal treaty rights going back more than one hundred years. The Tsuu T'ina nation is located adjacent to southwest Calgary city limits. It is accessible via Anderson Road SW from Calgary. Limited access to parts of the reserve is also available via Highways #22 and #8. The Tsuu T'ina, which means "a great number of people", are a strong proud nation possessing a remarkable cultural heritage. The current chief of the Tsuu T'ina Nation is Chief Sandford Big Plume. Descended from the Athapaskan-speaking people, which include the Navajo and Apache of the south and the Dene and Chippewa of the north, the Tsuu T'ina have kept their traditions and their culture has evolved into to one that is unique to Athapaskan-speaking people. A strong independent people, their beliefs are embodied in the circle symbolizing the eternal continuity of life, the circle forms the basis of their emblem. The stretched beaver pelt is a symbol of the Beaver people and the two warbonnets represent the separation story of the Athapaskan and the Tsuu T'ina people. The peace pipe means "peace with all people". The broken arrow means "no more wars". 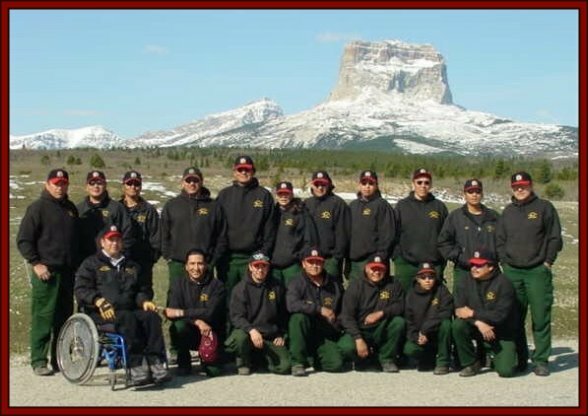 The Chief Mountain Hotshot's are a Native American elite Firefighting Crew based out the Blackfeet Indian Reservation located at Browning, Montana with Glacier National Park as their back yard. The 1988 and 1989 fire season were the two trial years for the crew. In 1990 the crew received their Type I Hotshot status. The Chief Mountain Hotshots are known as the "Warriors of the Forest" and are well known through out the United States and Canada. In 1999 the crew received the National Safety Award for zero lost time accidents and zero reportable vehicle accidents. The crew has been in existence for 14 years as of 2002. The Chief Mountain Hotshots are the only certified Native American Hotshot crew in Region I and stand proud to be considered the one of the best Hotshot crews in the nation. The Chief Mountain Hotshots are a highly trained self-sufficient hotshot crew, working in wild land firefighting. The Hotshot crew works 15 to 20 large fire incidents and travel 20,000 to 30,000 miles a year. When the crew is not on any fire incidents they will assist the Blackfeet Nation with community service. The crew helps in spring clean-up, assist local people in burn permits, obtains fire wood for the elderly and for spiritual needs. The Chief Mountain Hotshots are also trained and support the community when called upon. The crew also works with Bureau of Indian Affairs and the Blackfeet Tribe on fuel and fire management issues. "In the beginning all the world was water. One day the Old Man, also called Napi, was curious to find out what might be beneath the water. He sent animals to dive beneath the surface. First duck, then otter, then badger dived in vain. The Old Man sent muskrat diving to the depths. After a long time muskrat rode to the surface holding between his paws a little ball of mud and blew upon it. The mud began to swell, growing larger and larger until it became the whole earth. The Old Man then made the people." It is one the oldest, largest and best preserved buffalo jumps in North America. The name refers to a young Piegan brave who stood below the sandstone cliffs to watch a hunt and was later found under a pile of buffalo with his skull crushed in (Corbett 1997). Spiritual beliefs and ceremonies were an important part of the Blackfoot culture. Their religious life centered upon medicine bundles which were individually owned and originated from a supernatural experience. It was the adolescent warrior who attempted the vision quest by going to a remote area and fasting until he had a vision. He would be given a war song or dance by a guardian spirit and be told of the magical amulets (such as feathers, birds' beaks, or stones) that should be worn to give him power. Most failed and did not have a vision, in which case they would buy a bundle and its ritual. Each year around the beginning of summer the separate wintering bands would gather to observe the Sun Dance, the principal religious ceremony. The buffalo, considered the very source of life and the major symbol of the Sun Dance, influenced the time and locality of the ceremony, which were chosen by the proximity of the buffalo herds. The overall importance of the Sun Dance was the renewal of personal spirituality as well as the renewal of the living earth, a time when kinships within both social and natural realms were reaffirmed; and by doing so prosperity and social harmony would be extended for another year. After moving the camp on four successive days, the medicine bundle of the ceremony, the Sun Dance lodge, was built on the fifth day . It was here that the people gathered, though only a few men actually participated. They strove to obtain supernatural aid and enhance their personal power through sacrifice in order to become a more meaningful member of their society. The sacrifice required the participants to dance for three or four days while fasting and abstaining from drink. Skewers that pierced the skin and muscles of the men were used as part of the self torture and they performed such feats as hanging from the ceiling of the lodge by the skewers. This self-inflicted pain reflected their desire to return something of themselves to nature in exchange for past and future benefits. The Creation was expressed in the Sun Dance by the use of symbolic objects that represented the attributes of various animal kin. Animals were viewed as wise and powerful and served as intermediaries between humans and the supernatural forces. The eagle was the chief of all creatures in the air and respected for his wisdom and wealth. The life sustaining buffalo was the central figure. Its' tongue, considered the most sacred part, was consumed as a sacramental food during the ceremony and its' skull was used to express the theme of rebirth as bone was presumed to be where the soul resided. The Sun Dance was an important part in reconciliation of killing the buffalo, which violates the kinship between animal and man. 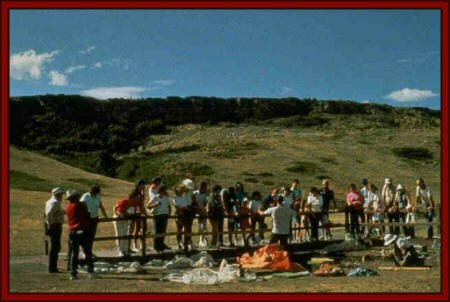 After the conclusion of the ceremony the lodge was abandoned and all animal objects left inside so they could return to the earth. In 1904 the U.S. government banned the Sun Dance because of the self torture and mutilation it involved. 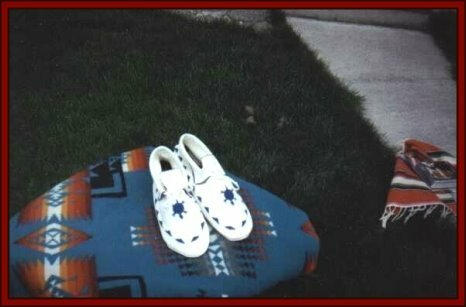 The Blackfoot continued to celebrate their ritual, though often times in an altered form.